The capital of the state of Andhra Pradesh, Hyderabad is the fifth largest city in India with an ancient civilisation and culture. Secunderabad is a twin city of Hyderabad. The twin cities of Hyderabad and Secunderabad are separated by the Husain Sagar, an artificial lake constructed during the time of Ibrahim Quli Qutb Shah Wali in 1562 A.D. The city is nearly 400 years old and is noted for its natural beauty, mosques and minarets, bazaars and bridges, hills and lakes. It is perched on the top of the Deccan Plateau, 1776 ft. above sea level, and sprawls over an area of 100 Sq. miles. A multitude of influences have shaped the character of the city. Its palaces and buildings, houses and tenements, gardens and streets have a history and an architectural individuality of their own, which makes Hyderabad a city of enchantment. 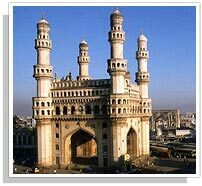 The main languages spoken in Hyderabad are Telugu, Urdu and Hindi. English is widely spoken except in most rural areas. Indian Standard Time (IST) is 5.5 hours ahead of GMT. In January, the weather is likely to be mild, with an average temperature of 18 degree C. However, as the weather is not predictable, it is advisable to bring a sweater and a light raincoat. Daylight is from 0800 to 1800hrs. Please visit www.isb.edu for more details. The currency in India is the Rupee, which comes in denominations of 1, 2, 5, 10, 20, 50, 100, 500 and 1,000. Please use authorized money changers and banks to change currency. They will issue a certificate of exchange which is required at the time of re-conversion of any unused currency. Under the Foreign Exchange Management Act 1999, it is an offence to exchange foreign currency other than through authorized money changers or banks. The Organizers do not take responsibility for any individual, medical, travel or personal insurance. Participants are advised to secure their own insurance policies before departure in their countries as necessary. While every attempt is made to ensure efficient, trouble-free hospitality, including hotel accommodation, sightseeing and tours, participants are advised that no liability accrues to the organizers in case of any necessary modifications such as change in itineraries for tours due to delays or cancellations of flights/other exigencies beyond the organizers’ control. Please consult with your physician regarding health precautions prior to visiting India. If you are coming from or have visited Africa, South America or an area infected with Yellow Fever within five days prior to your arrival in India, proof of inoculation against Yellow Fever is required. The voltage in India is 220 volts. Should you wish to use appliances of 110 volts, most Conference Hotels will provide adaptors on request but it may be useful to carry your own for convenience. All conference rooms are non-smoking areas. There is no compulsion to tip anyone for any service rendered. If you choose to do so, the traditional tip is in the region of 10%.